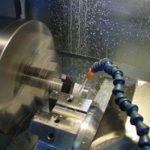 Lanic Aerospace offers a wide range of manufacturing and engineering services that add value to any program or project. 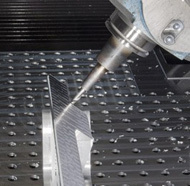 Our core efforts lie in hard metal machining, assembly of aircraft structural components and mechanical systems. We are very comfortable manufacturing highly engineered detailed parts from hard metal and assemblies such as spoilers, flaps/ailerons and major landing gear systems, however we are not limited to these examples. 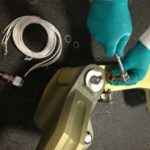 We also have experience designing and manufacturing assembly tools and fixtures, catering to the AOG and spare parts markets which is also a substantial part of our business. The engineering team uses state of the art technology and processes to drive our manufacturing group to success. Lean and “Outside the Box” strategies are the status quo for this think tank group. Staying on the cutting edge of industry technology allows us to keep up with ever changing customer needs. We assemble aerospace structural components like landing gear, actuators and other mechanical systems. 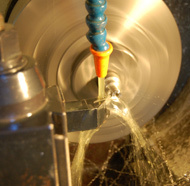 We offer precision, detailed machining of soft, hard metals and assemblies. We have state of the art equipment and engineers on staff to help with your needs. Our quality department stands out among the best in the industry.